Cupping Cakes, albeit our name, is more than just cupcakes. We love sharpening our baking skills by trying out new things like madeleines or macarons, or making a batch of the old favorite: the peanut butter kiss cookie. 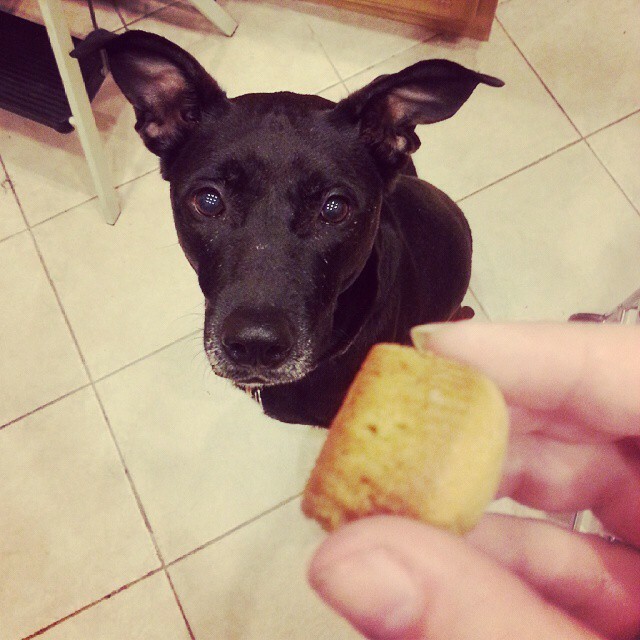 What is just as fun is making treats for pets, and it has great rewards – seeing those wagging tails and excited sniffs. But what if you want to make something simple but homemade, and don’t want to spend a lot of time prepping? Cupping Cakes has you covered! We’ve found some great simple recipes that have big rewards. Homemade Sweet Potato Chews – We actually just made a batch of these, and the process could not be simpler. Slice the sweet potato however you would like, sprinkle some cinnamon on and bake bake bake! It would work even faster if you have a dehydrator. The entire kitchen starts smelling like the holidays! Homemade Apple Chips – It would work even faster if you have a dehydrator, but it would still make the kitchen smell amazing! One idea is to chop them into smaller pieces, depending on the size of the dog, and use them for motivation or reward. Peanut Butter Pupsicles – Got a hot dog? Cool them off with a pupsicle! No need to buy those expensive frozen treats from the store when you can whip up a quick batch in any cup you have around the house. Good luck, enjoy and happy tails!